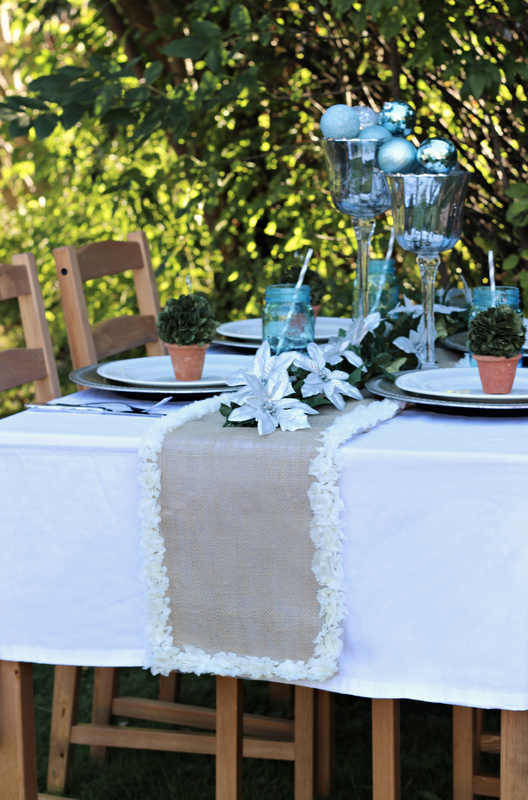 Make a gorgeous DIY No Sew Burlap Table runner in 10 minutes or less! Hi friends! 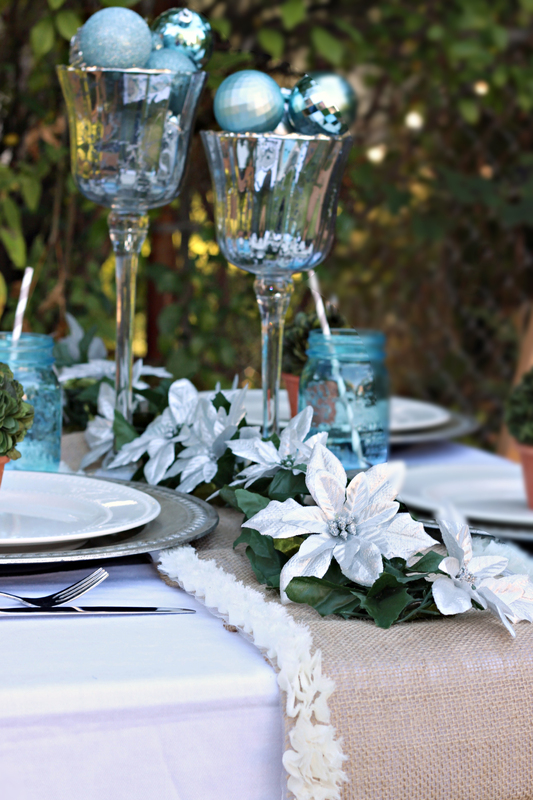 We’re sharing another pretty project that we created for Joann.com for Joann’s Winter Look Book! This was part of the Winter Woodlands Collection and it’s just so pretty. I love the simplicity of it. 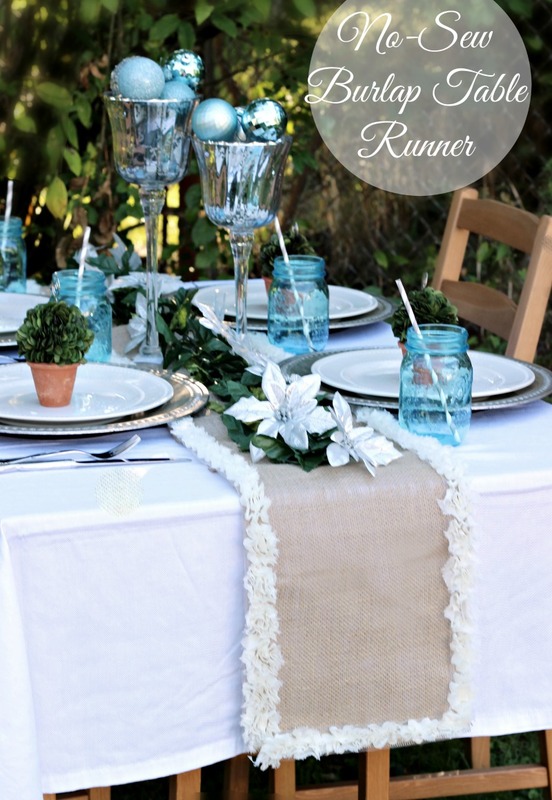 It is perfect for your holiday table or for a wedding, bridal shower, Easter, baby shower, or everyday decor! There’s still time to make one for your next get together because it literally takes about 10-15 minutes to make, tops! No sewing or anything! Seriously so cute and so easy! Let’s get started! Run a 6-12 inch bead of hot glue along the perimeter of the burlap rectangle. Apply decorative trim to hot glue. 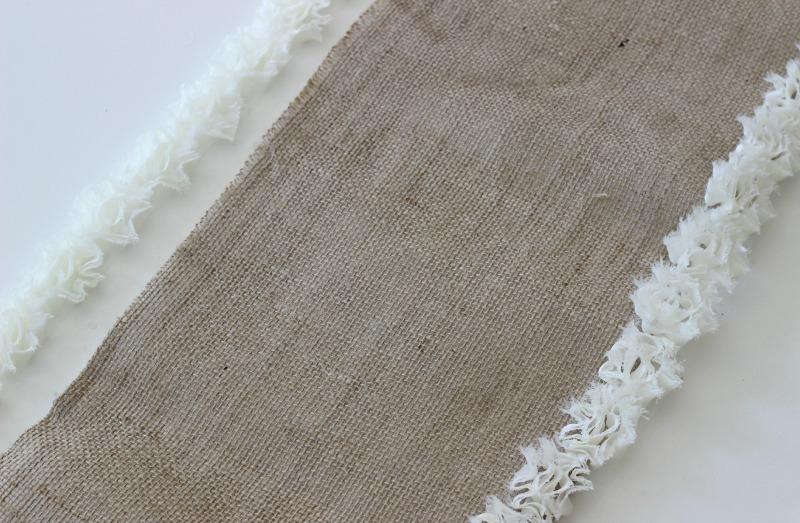 Repeat steps 2-3 until you have applied trim to the entire perimeter of the burlap table runner. I absolutely love look of that runner. Did you get the trim at Jo-Ann’s? If so I’ll be looking for it on Wed. when we get paid. Think it’s amazing what that trim does for burlap, gives it dressed up look. So fun and as you said, more versatile, can use all year, love that. We don’t have dining table/eating area but make them for our kitchen island and end tables/coffee. 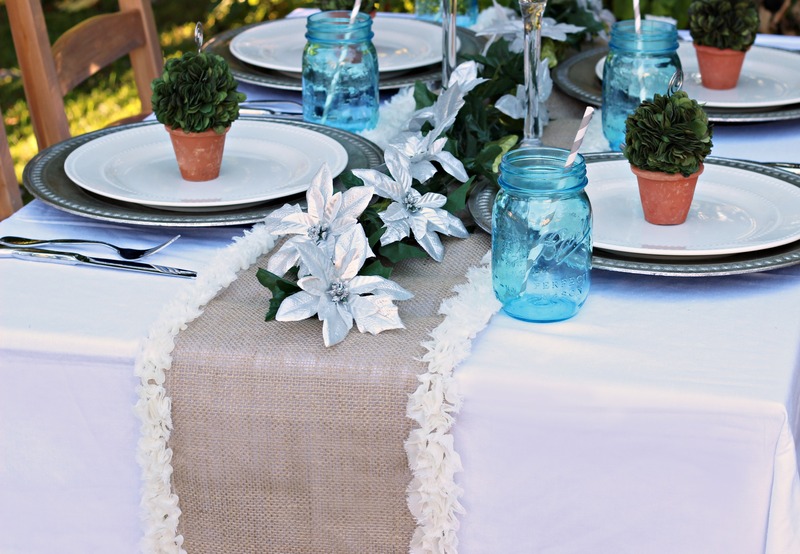 It’s so nice what little bit of burlap and trim can make a table look like. Sometimes I stencil my runners or glue on some kind of symbol. It’s nice to know that can be made without sewing as my machine is on vacation, it hates me, lol.